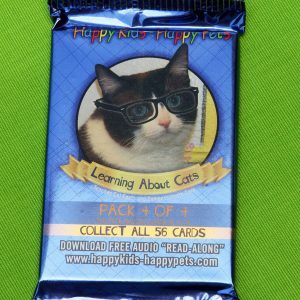 The cards in Pack #2 share tips about Feral cats and the importance of spay/neuter, Trap/Neuter/Return, and more. 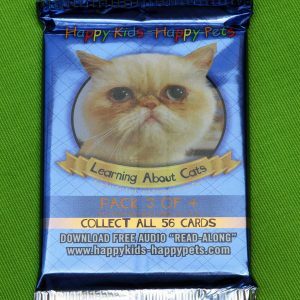 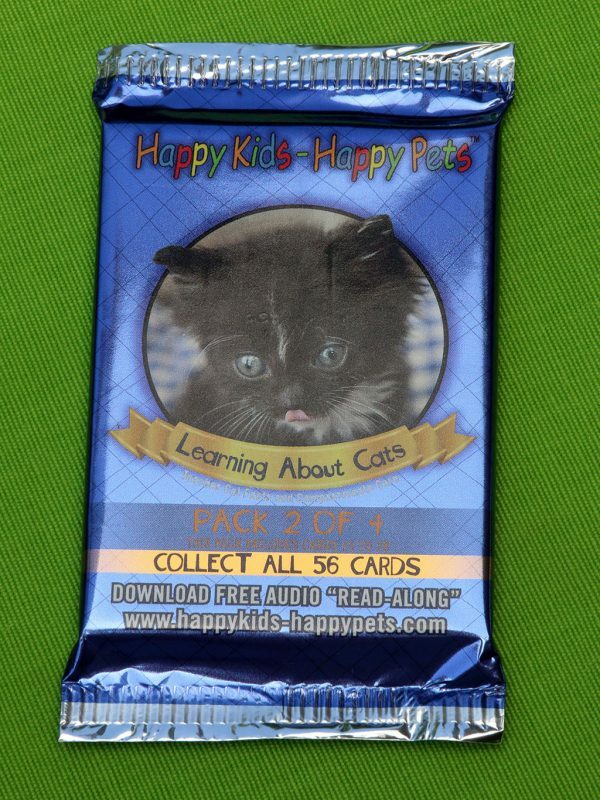 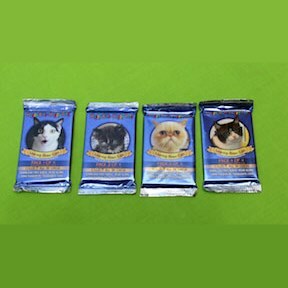 There are four packs in this “Learning About Cats” series of collectible trading-size cards. 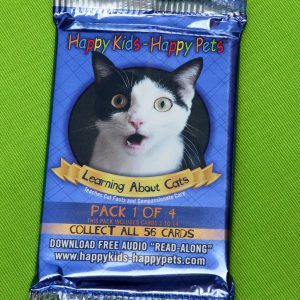 Each packet has fourteen lesson cards that share important facts about cats and cat care.